Apprentice Telemancer Astrandis: Their red eyes… flaming beards… dark, dusky skin. 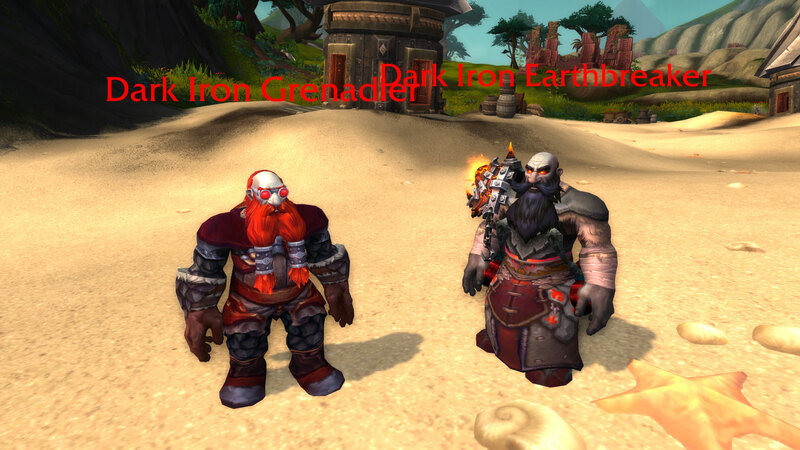 These can only be Dark Iron dwarves. I have never seen one before this day. It is my understanding that they stand with the Alliance, now. Given my people’s allegiance, I believe we are now placed in a position to better demonstrate our loyalty to the Horde. The Dark Iron must die. See that they do not claim so much as an inch more of this beach. Slay 7 Dark Iron dwarves. 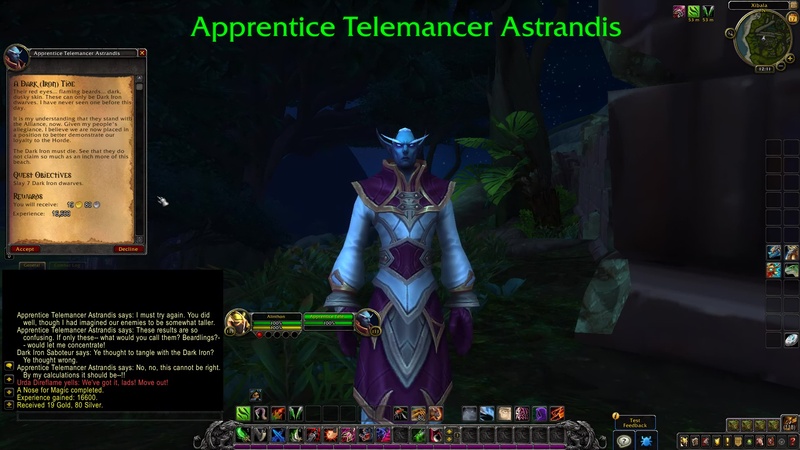 Apprentice Telemancer Astrandis: Let there be no confusion on where we stand, (Name). For the Horde to live, the Alliance must die. That includes their short, bearded allies.